A link for Participating Wedding Vendors is listed with each show. Please allow 15 seconds to load. Cavanaugh's Winter 2020 BrideShow Dates. See the reasons Cavanaugh's BrideShow is different from all the rest! We promote Real Prizes with a web page that announces all the Grand Prize Winners shortly after the show. 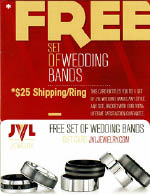 Many vendors give out money saving coupons in addition to the Prizes we offer as an added Bonus for attending the BrideShow. In addition there are other Instant Winner Prize Centers throughout the bridal show, and all attending Brides receive a one year subscription to Brides Magazine (please allow 12 weeks for Brides Subcription), a $5 off coupon for MissNowMrs.com, and a Free Cavanaugh's Wedding Planner/Magazine. We are the only show in Pittsburgh with the Biggest Names in Bridal! There must be a reason the TOP bridal shops in Pittsburgh choose to display their gowns EXCLUSIVELY at Cavanaugh's Bride Show. Our Bridal Salons will be showcasing hundreds of gowns. We are the ONLY bridal show where you will see all these bridal shops in person, be able to touch gowns on display, and talk with the store owners! This new format allows for a more "personal experience" for the brides. Walk through the over 150-175 manniquins and live models, get up close and touch the gowns, see the detail, compare dresses on the spot, talk to the owners of the bridal salons, all while taking your time, shopping at your pace. Not sure which dress is perfect. Visit the wedding professionals and then come back for a second look. We have the largest selection in the city of bridal, bridesmaids, and mother of bride and groom gowns on diplay, showcasing a full range of gowns to fit into every bride's budget. 70% of our Wedding Professionals have been with us for 8 or more years, 50% 14 years or more and some 20 years or more - We have the most talented group of Wedding Professionals in the Business. This type of longevity offers realiability and peace of mind. We honor your interest in our shows and your right to privacy. We never pass out your email and allow you to block any unwanted email. Your phone number is ALWAYS optional, never required. Bring pre-printed, self addressed labels. These will save you time when registering for prizes or information. Pick up any information available. Take time to look over what you've collected once you get home. Send your mom or a friend to pick up information for you if you are unable to attend. Visit the web-site after the show to refresh your memory. See all the vendors you met and the products they offered.